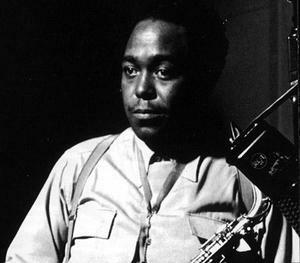 Charlie Parker's first pop record was an accident. 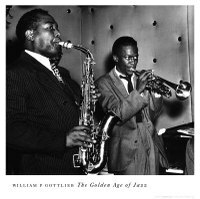 In late December 1947, the great alto saxophonist wandered into the studio at Carnegie Hall where arranger Neal Hefti was rehearsing his orchestra in preparation for a recording on The Jazz Scene, producer Norman Granz's ambitious album of 78 rpms. Parker loved what he heard and asked Neal if he could play a solo on the harmonically inventive tune. 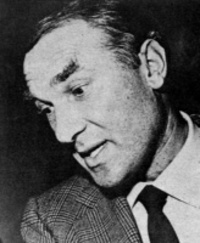 Hefti was overjoyed, but he had no time to rewrite the arrangement around Parker. So Hefti simply had the orchestra play the song twice—once unaccompanied and again with Parker soloing—clocking the entire song at under the three-minute 78 rpm recording maximum. The result was Repetition, which is how the early "cool" standard got its name. Over the next year and a half, producer Granz couldn't shake the sound of Parker's bluesy alto soaring in and out of Hefti's strings. 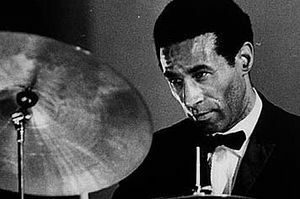 In November 1949, he brought Parker into the studio to record a full album of standards with strings. Just as Granz had suspected, the result was a whopping success. Just Friends, one of the sides, became a juke box hit, and Parker appeared in concert with strings frequently between 1950 and 1954. By the spring of 1953, Parker and Granz decided to take another pop shot at mainstream success. This time, instead of strings, they would use voices as a backdrop. 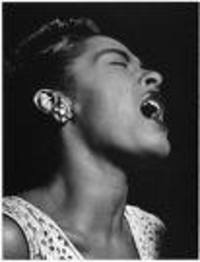 Billie Holiday had already recorded successfully for Decca in 1948 with a choral group called the Stardusters. But using a formal choir in 1953 was out of the question. Traditional background vocal groups were no longer in vogue, having been shoved aside by hipper, more free-wheeling vocalese ensembles with bop sensibilities. The idea of Parker backed by swinging voices may have sounded great over drinks, but the match up in the studio proved to be problematic from the start. Ultimately, only three out of four vocalese tracks were recorded on May 25, 1953, and Granz's patience was stretched thin. Parker played beautifully on the date, and the woodwinds and French horn arrangements by Gil Evans (above) were inventive and "cool" sounding. But the vocal arrangements by Dave Lambert (pictured with Annie Ross and Jon Hendricks) were another matter. Lambert had overreached, and the result was a bit of a mess. 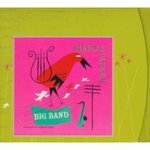 JazzWax: Where was this recording session held? Hal McKusick: At Fulton Recording Studios, at 80 W. 40th St. in New York, on the fourth floor. The building is across from Bryant Park. It looked like a mansion inside. William Randolph Hearst had had a bachelor apartment there. The room where we recorded had huge ceilings—about 30 feet high—with thick curtains along the walls running from the ceiling to the floor to keep outside sound out and the music in. The engineer’s booth had a large glass window and was up high. You had to climb a small staircase to get to the booth’s door. JW: How were the musicians set up in the space? HM: The room was gigantic. The Dave Lambert Singers—10 or 12 of them—were on one end and the woodwinds and French horn were on the other. 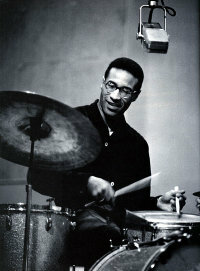 Both groups faced the rhythm section in the middle—drummer Max Roach, bassist Charles Mingus and pianist Tony Aless, who had played with Woody Herman for years. Bird played in front of the rhythm section. Twenty feet separated each group to keep the rhythm section from bleeding acoustically into the voices, and the voices from bleeding into the woodwinds. JW: Who wrote the instrumental charts? HM: Gil Evans wrote the arrangements for the woodwinds, French horn and whatever was needed for the incredible rhythm section. 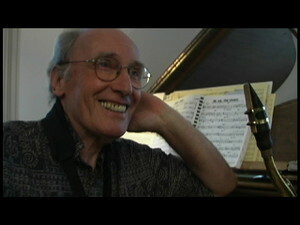 Dave Lambert was responsible for the vocal charts. We recorded three tracks that day—In the Still of the Night, Old Folks and If I Love Again. JW: What was the big problem on that date? HM: The voice parts were way too complicated. Gil’s charts were beautiful and complex, as always. His arrangements always could push your buttons, musically. But Dave’s vocal charts were heavy, and by the time everyone realized this, it was too late. The recording session was already underway. JW: Was Dave aware of that? HM: I'm sure he was. But in all fairness to Dave, he was in over his head. 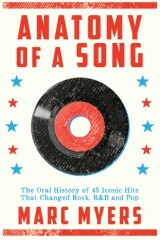 First, there were too many singers. Dave could have accomplished the same goal with better results if he had used four. All of us in the woodwind section knew it at the time. Second, Dave wasn’t skilled enough as an arranger to write for so many singers. What's more, the singers weren’t polished enough as a group to pull off what Dave had in mind and had written. JW: But Dave led a group of singers. HM: Dave was terrific when singing take-offs on jazz instrumentals and writing for small-group things. But to write structured charts for so many singers behind arrangements by a guy like Gil Evans requires enormous skill. When you're writing for 10 or 12 singers, you have no choice but to double up voicings. This means two or more vocalists need to sing the same notes. It’s the only way a vocal group can be heard clearly. But doubling up parts means greater room for intonation error, since you’re more likely to hear somebody wavering off the written notes. When a voice wavers, it throws everyone else off, or the producer catches it and calls for another take. It’s like two people walking a tightrope out of synch. Someone’s more likely to fall. That happened quite a bit that day. The vocal charts were too hard to sing. The result was false starts and re-takes. JW: Why did Dave get the job to write for voices in the first place? HM: You know, I don’t know. I never understood why Gil didn’t’ write the vocal charts himself. I know he would have written for four singers and kept the lines simple—accompanying Bird rather than competing and running all around his solos. Or he would have scrapped the vocals entirely. Gil’s woodwind writing alone was good enough to have sustained the date. My best guess is that Dave pitched Bird on writing for a vocal ensemble. Bird had already recorded with strings, of course, and the voice approach was probably for contrast. Bird in turn must have spoken to Norman [Granz] on Dave's behalf, insisting that Dave be allowed to do the vocal writing. That’s the only way that could have happened. Gil and Norman’s hands had to have been tied to some extent. It was a risk, but an experiment that fell short. JW: Bird and Dave were close, weren't they? HM: Yes. As you know, Dave and Bird had a good working relationship since the late 1940s, when the Dave Lambert Singers appeared with Bird at the Royal Roost. Besides, the Dave Lambert Singers were extremely popular in the early 1950s as vocalese became popular with jazz listeners. For Norman [Granz], adding vocalese was probably a commercial decision. I just don’t think he realized how hard and costly it was going to be to pull it off musically. He probably just thought he had to worry about Bird on the date. That day, Bird was the least of his troubles. Bird played beautifully, as he always did. JW: What happened on In the Still of the Night? It starts out almost chaotic. HM: In the Still of the Night was the first tune we recorded that day. On the first take, Bird counted off the tempo. But Max pushed it way up. I’m guessing it was a competitive thing between Max and Bird. Or Max may have been frustrated by the commercial sound of the date. He also could have been unhappy about his role as just a timekeeper and wanted to test or challenge the singers. JW: So Bird just ramped up following the tempo? HM: Bird being Bird, he responded to Max with majesty—and wasn’t going to be outdone. So he took the first take fast, too. But the poor singers, they could barely get the words out. We had several incomplete takes. At the session it was very funny! It broke up the musicians. Little by little, the later takes slowed. Norman was losing money and patience. By the seventh or eighth take, the pace was perfect for the singers, who had become more comfortable—or as comfortable as they were going to be. JW: Was Gil actually there? HM: Oh yes, he was conducting. Dave was standing with his singers. Gil was always very calm and concerned at record dates. When he wrote for Claude Thornhill’s band in the late 1940s, we’d rehearsed at Nola Studios on Broadway. He’d conduct and take us through the phrasing and dynamics. Then he’d go to the back of the studio and lie on the floor and listen to us play with his eyes closed. To shut everything out. But he didn’t do that on record dates. It was too expensive. Time was money. 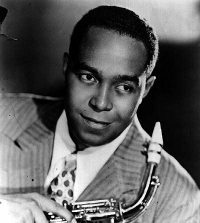 Tomorrow, in Part 2 of my interview with Hal on Charlie Parker and the ill-conceived voices session, he talks about what Parker did on the date to relax and the likely reason why there wasn't a fourth side recorded that day. JazzWax tracks: The three tracks vocalese recorded on May 25, 1953 can be found on many different Charlie Parker CDs and collections. If you're interested in hearing the masters and alternate takes for In the Still of the Night, Old Folks and If I Love Again, download Charlie Parker: Big Band at iTunes or here. 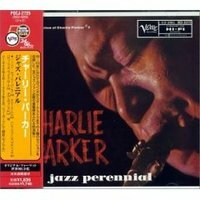 I've always been fond of these Charlie Parker recordings. I see them less as a disaster and more as a quaint failure. There's something innocent and sweet about them—and very early 1950s in their commercial context. To hear the genius of Gil Evans' writing, you merely have to listen to the intro on If I Love Again, with its swirling bucolic spiral of woodwinds setting up Parker and the Dave Lambert Singers. The fact that the musicians on the date—clarinet, flute, oboe, bassoon and French horn—didn't rehearse and played the intro cold is somewhat amazing given how tricky Evans' arrangement sounds. Was this Parker's best outting? Of course not. But it's hardly without merit. 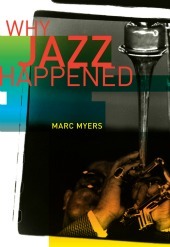 Think of it as a snapshot in time—when jazz artists were experimenting with pop and pop singers were experimenting with jazz. what a moving story! Thanks a lot for posting that interview. I'm very curious about the follow-up!